KFC Australia has opened a swanky concept store in Parramatta with a custom menu and modern, urban decor. It’s the second example in a month of quick-service restaurants dipping their toes in the ‘fast casual’ waters, after McDonald’s opened a concept McCafé called ‘The Corner’, in Sydney. But while McDonald’s said it has no plans to open more, KFC says it plans to roll out more concept stores across urban Australia if the trial is successful. 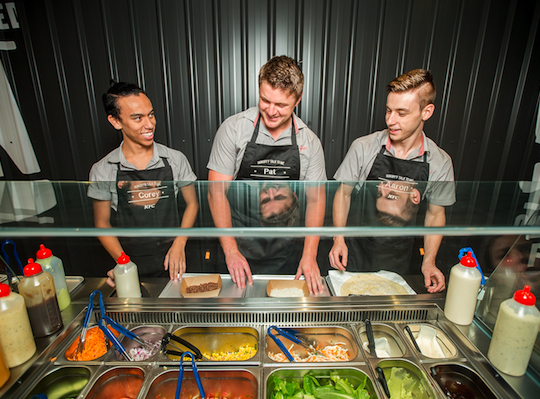 The store, on Parramatta’s ‘Eat Street’ at 277B Church Street, is a first for Australia, designed to “meet the evolving expectations of urban, working professionals”. “So while the store has some new taste combinations, it is still distinctly KFC at its heart, emphasising great tasting food, freshly prepared in store to our unique recipes,” Lawson says. The small restaurant is fitted out with wood highlighting and new imagery that gives it an atmosphere reminiscent of successful gourmet burger chain, Grill’d. The company is awaiting review of its application for a liquor license to permit dine-in customers to have a beer or cider with their meal. The liquor license is for the concept store only.